Jennifer Shipman and Laura Duttweiler with their new baby, 3 Foods. If you've been scrolling through Craigslist in hopes of buying 3 Foods Café in Arcata, you're too late. 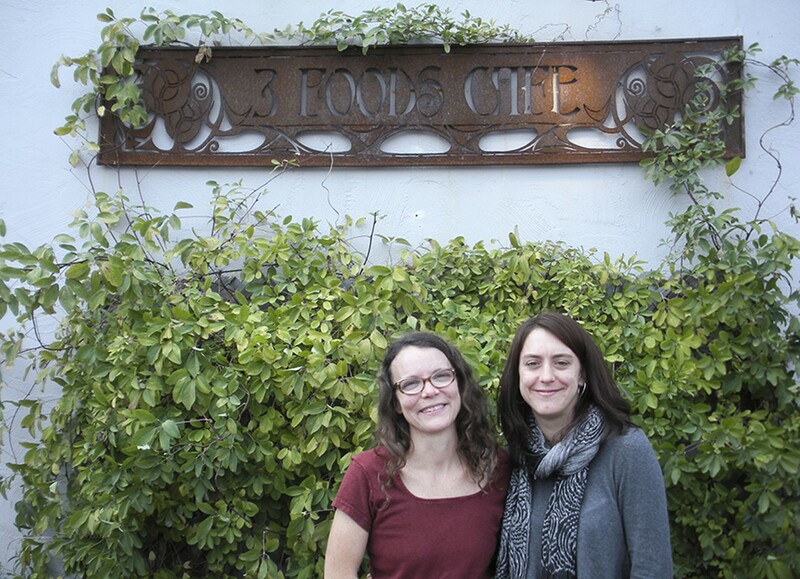 New owners Jennifer Shipman and Laura Duttweiler beat you to it, and no, they didn't buy it online. Escrow closed on Friday, and the place itself will only close (fingers crossed) from Oct. 21 to Oct. 24. 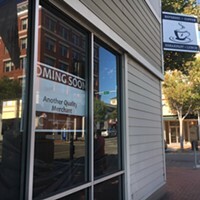 Those few days will be a frenzy of renovation, including installing a new kitchen floor, a little painting, electrical work and setting up a new point-of-sale system. Local artist Augustus Clark is also whipping up some artwork for the restaurant, but overall the look will stay the same. "We want to respect the customers," says Duttweiler. She and Shipman are aware of the deep attachment some of the regulars have to the restaurant and its menu, so they won't be turning the place or its menu upside-down. Most of the staff is staying on as well, including chefs Jessica Lovelady, Sean Bockman and Peter Jones, who only came aboard a month and a half ago from Folie Douce. There — you can un-clench your paper now. Shipman and Duttweiler have been thinking about going into business together since they met two years ago. While Duttweiler wasn't a regular at 3 Foods, she had eaten at the restaurant over the years and heard it was for sale. When the price came down, Shipman says it seemed "like kismet." The space was part of the appeal, and one long-term goal the women have is to make the restaurant more family friendly with picnic tables outside and an area for children to play. (Parents: This means you might get to eat with both hands. Non-parents: This means you might have less silverware flying your way.) Duttweiler, also a mom, knows what a draw that can be. 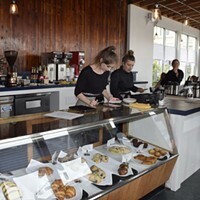 Both new owners have been waiting tables at 3 Foods once a week to cover open shifts — nothing new for either of them, since Shipman was a server for 12 years and Duttweiler has been working out front and in back at Cafe Brio since it opened. But the two say that working the floor with the staff has given them insight on how the place runs and what the customers want. Shipman has already heard pleas to keep the "Dark and Gruesome" salad — it's her favorite, too, so fans of the big pile of greens need not worry — and the chicken and waffles. 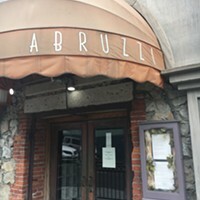 For now, the pair is only planning tweaks to the menu, like offering more seasonal specials and doing more local sourcing. Shipman, who has a telecommuting IT job, says the farmers market is one of the reasons she lives here with her husband and daughter. Duttweiler says they're looking to maintain the character of 3 Foods, and that they "want to do a spin on what's already going on here. ... It's more like adopting than having a baby."